After three editions at Golf Club Milano and a nice bank of course form, the Italian Open is on the move again so it’s back to square one for golf punters and probably most of the players too. Gardagolf Country Club near Brescia is the new host course and it hasn’t been seen on the main Tour since 2003. Mattias Gronberg took that title while Bernard Langer closed out his win in 1997 on the final hole against Olazabal. I’m not sure we will get that level of drama or quality golf this week but it looks like a great course even if the field isn’t what it would have been here 21 years ago. The championship course is made up of two 9 hole courses named Rosso and Bianco and while both similar, Rosso is more open and undulating and Bianco is a bit tighter with lots of water in play. An immediate look at some photos of Gardagolf suggest the test won’t be too different from last week and both the winners confirm that. Gronberg is far from a household name but he did win 4 times on the European Tour, K Club, Crans and Randpark GC were the other three courses and he also lost in a play-off at Woburn. Langer obviously won on many different courses in his career but he is a 2-time winner around both Wentworth and Augusta while he has also won at the K Club. K Club isn’t quite as tight as Wentworth or Crans but all these courses look like being good pointers in this week on a course where there are some very abrupt dog-legs within the tree-lined fairways. When I think of tree-lined tracks one of the first names that pops into my head these days is Matt Fitzpatrick and after a decent showing last week he looks to be in with a great shout in Italy. Fitzpatrick has already won around Crans and Woburn in his short career confirming that he is happiest where finding the fairways is a bit of a challenge. Additionally his U.S. Amateur win came at tree-lined Brookline Country Club which is quite similar visually to Gardagolf. Fitzpatrick was 8th last week and will take confidence from his best performance since January. Looks ready to add to his 4 European Tour titles and he will know he has to lift his game through the summer to keep his Ryder Cup place. Not the fanciest of prices but looks a perfect course for a rejuvenated Fitzpatrick and we shouldn’t forget that his poorer run of form was at a far higher grade on the PGA Tour. Fabrizio Zanotti is a 2-time winner on Tour with both having come in the last 4 years but he is far from consistent. He is the sort of player you want to back at three figures when in reasonable form and playing on a course where driving accuracy looks to be important. Few hit more fairways than the Paraguayan and he isn’t too shabby when it comes to getting over the line either. 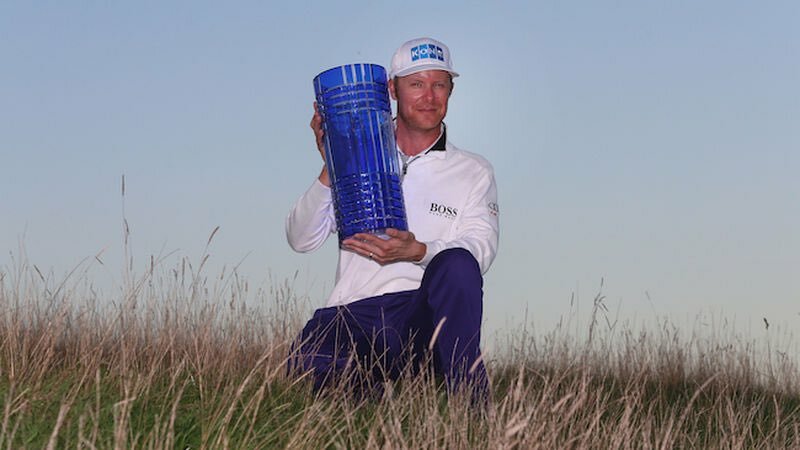 He won a 4-man play off for his first win defeating Henrik Stenson, Cabrera-Bello and Gregory Havret who had 14 European Tour wins between them at the time. His 2nd win was at the Maybank Championship around Saujana GC where finding the right area of the fairway is key. So it looks like the course should suit him and he comes in off a 15th place finish at Wentworth. He ranked 9th in total accuracy there and 10th in the all-round ranking so to me he looks an excellent piece of each way value at 100/1. Rafa Cabrera Bello played the final three rounds last week better than everyone bar Molinari, Noren and Kinhult so he will be arriving full of confidence to a course that should suit his neat and tidy game perfectly. I mocked Jeremy Chapman last week for putting up 4 of the first 7 in the market but yet again his top-heavy approach yielded profit. I’m taking a leaf out of his book this week as I think this could be a course where the class-acts find themselves in contention on Sunday. He is one of the few who will have played an event here before back in 2006 and his record in Italy is decent with 6 top 10s from 15 events. Like Fitzpatrick he will be targeting these Rolex Series events as good chances to consolidate his Ryder Cup position so I’d expect another strong showing. He actually led the field in both putting and fairways hit at Wentworth so a slight improvement in his normally excellent approach play would make him hard to beat.